Prior to directing Keep On Keepin’ On, Australian Alan Hicks was a drummer, surfer, and former student of jazz legend Clark Terry’s at William Paterson University near New York City. Hicks began documenting the film, his first feature, as a college student and while traveling the world as a member of Terry’s musician ensemble in the mid-2000’s. Along with director of photography Adam Hart, they at times seemingly became part of Terry’s and Justin Kauflin’s extended families. This in turn provided them dramatic and unprecedented access to intimately capture the unfolding story of Keepin’ On. Since 2005, Paula DuPre’ Pesmen has produced the renowned documentaries The Cove (Academy Award Winner & Producer of the Year by the Producers Guild of America Winner), Chasing Ice(Cinematography Award at Sundance and SXSW Audience Award 2012.) Pesmen’s prior background was in features, on the producing team of such films as Harry Potter and the Sorcerer’s Stone, Harry Potter and the Chamber of Secrets, Harry Potter and the Prisoner of Azkaban, Rent, Mrs. Doubtfire and Stepmom . She was honored with the 2010 Producer of the Year Award by the Producer’s Guild of America. In June, 2011, DuPre’ Pesmen was named a Local Hero in Oprah Winfrey’s O Magazine. Producer Quincy Jones was Clark’s first student when Quincy was just 13-years old. Jones’s career has encompassed the roles of composer, record producer, artist, film producer, arranger, conductor, instrumentalist, TV producer, record company executive, magazine founder and multi-media entrepreneur. As a master inventor of musical hybrids, he has shuffled pop, soul, hip-hop, jazz, classical, African and Brazilian music into many dazzling fusions, traversing virtually every medium, including records, live performance, movies and television. He has won more Grammy Awards than any other producer in history. Adam Hart began his photography and cinematography career on the water, as a surfer and surf photographer from Wollongong, Australia, in the early 2000s. He shot and contributed still photos to surf and travel magazines in Australia and France. More recently, Hart shot action video for Todd Barnes’s Bones Films group. His career took an unexpected 180-degree turn when he agreed to serve as D.P. on Keep On Keepin’ On, which was shot primarily indoors, primarily in a small-town Arkansas city, with a few on location trips to such locales as Manhattan, Los Angeles, and Montreux, Switzerland. Rory Anderson has been an active Cinematographer/ Director for over 10 years. Based in Wollongong Australia he has focused on music videos and documentary projects traveling all over the world to shoot including New Zealand, Indonesia, Greece, France, Amsterdam and every state in Australia. Rory was brought onto ‘Keep On Keepin’ On’ in 2010 for technical advice and then as the Second Unit Director of Photography. The shoots were based in the USA traveling to LA, NYC, Arkansas, Virginia and then onto Montreux Switzerland. Coombe is also a founding partner of Milkhaus, a production company and post facility in Denver that specializes in HD documentary content that has been broadcast on the Discovery Channel, BBC, PBS, and HBO. He was producer, editor and camera on The Last Campaign of Governor Booth Gardner which was nominated for an Academy Award in 2009. He recently completed the 2012 Academy Award and Emmy winning Saving Face for HBO and the award winning Chasing Ice. A writer and author of 7 books of nonfiction, including ‘How a Man Ages’ a co-production with Esquire, Curt joined the production team of Keep On Keepin’ On in mid-2012. He also has done pre- and post-production work for the Academy Award and Emmy Award winning documentaries, The Cove (2010) and Chasing Ice (2014). Formerly a story editor at SELF, Esquire and Sport magazines in New York City, Curt has been based in Boulder, Colorado, since 1996. 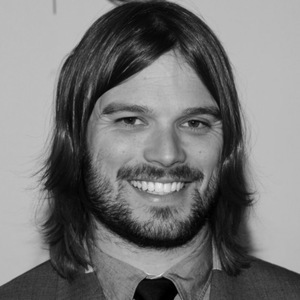 Adam Fell is currently the Vice President of Quincy Jones Productions, where he has served for the last eight years. In his role there, he has worked on projects on behalf of Mr. Jones such as the #1 charity single Tomorrow/Bokra, Quincy’s tribute album Q: Soul Bossa Nostra, We Are the World 25 for Haiti, the 2008 Beijing Olympics Opening and Closing Ceremonies, the 2010 World Expo, and various others. As the co-founder, owner and manager of ShadowCatcher Entertainment, David is responsible for the Company’s strategic and financial planning, as well as overseeing the development, financing and production of the company’s film projects, as well as the management of all theatre and book projects. He has worked as an Executive Producer on Smoke Signals, The Book of Stars, Getting To Know You, Game 6, Outsourced, American Pastime, A Not So Still Life: the Ginny Ruffner Story, CRUSHED, Old Goats and the newly released G.B.F. Tom is ShadowCatcher’s producing partner. His feature film producing credits include Arlington Road and Going All the Way . Tom has also produced the documentaries Father’s Daze, Single Video Theory, and American Mullet, and served as Executive Producer on No Maps for These Territories. Tom is responsible for attracting and developing many of the Company’s feature film projects and was the lead producer for Outsourced and a producer on American Pastime. He is the lead producer for A Not So Still Life, the Ginny Ruffner Story, CRUSHED; as well as Executive Producer on Old Goats and the newly released G.B.F. Jill Mazursky is a screenwriter, film producer, director and book agent. She has written numerous films including two with JJ Abrams “Taking Care of Business” and “Gone Fishin”. Recently she made a deal for Nick Nolte to write his memoirs for Harper Collins. Jill grew up on both coasts but now makes Los Angeles her home. Co-Producer Karl Kister joined the project in 2012. Karl is a documentary and narrative film producer, arts advocate, and entrepreneur. He is the the producer of the upcoming feature documentary, Hanna Ranch. He is also the executive producer on the documentary, Rolling Papers, and two upcoming independent narrative films, MA, and Walden. Co-Producer John Caulkins has worked in a variety of fields including publishing, film distribution and the online grocery business. From 2003-2008 he was director of the Music on Film – Film on Music festival in Prague, Czech Republic. Since then he has been actively involved in documentary filmmaking and has organized dozens of film and music events in the US and in Europe. Jeff Plunkett is an Emmy-nominated and Overseas Press Club Award-winning producer & director who has worked with MTV, ESPN, HBO, CNBC, Discovery International, Al Jazeera and Current TV. Most recently, he directed The Opposition, a documentary for ESPN’s “30 for 30″ series about the collision of soccer and politics after Chile’s 1973 coup, and Borderland, a four-part series for Al Jazeera America about the realities of illegal immigration.